If you've been following me for any time period on my Instagram, then you know I love me some good iced coffee! 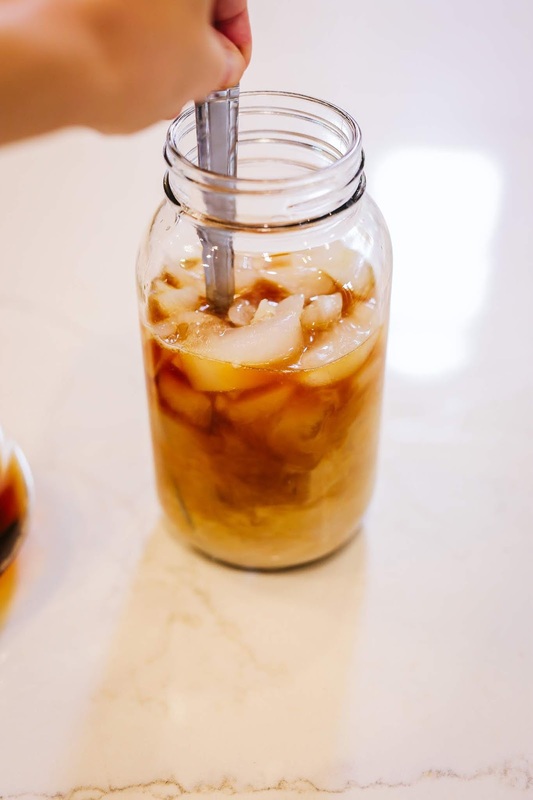 There's nothing better than the perfect blend of coffee, ice, half and half, and caramel (or whatever syrup you prefer). The problem with iced coffee though, is it's different at every coffee shop. Some make it strong enough to raise the hair on the back of your neck... others make it watery and weak. As for me, I like something in between... not too strong, not too weak, just right there in the middle... the perfect medium roast. 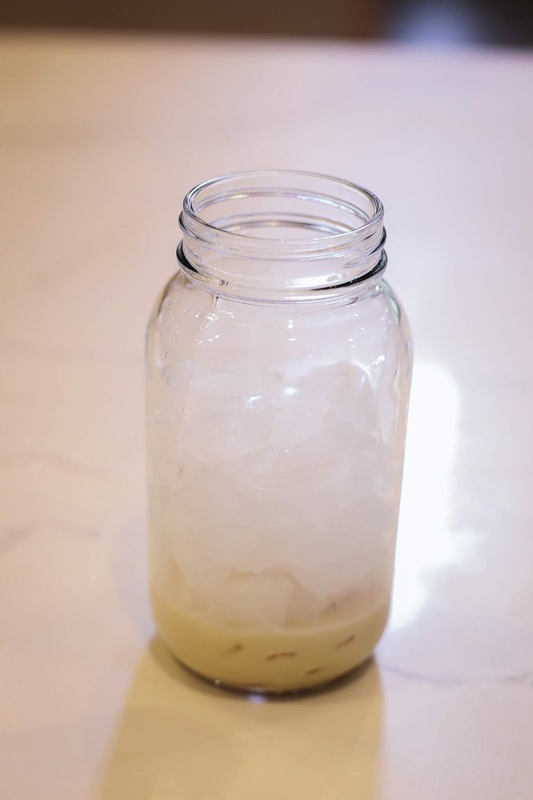 A few months back I posted an Instagram story asking my followers for recommendations of a good, quick (less than 10 minutes) iced coffee recipe... Well, you guys delivered! I received SO many responses and lots of helpful tips! One of my favorites came from a local Cincinnati friend, David Walker, who is actually a barista at Joseph's Cup! He pointed me towards several small pieces of equipment that I would only have to purchase once and be able to make endless coffee shop quality iced OR hot coffee! 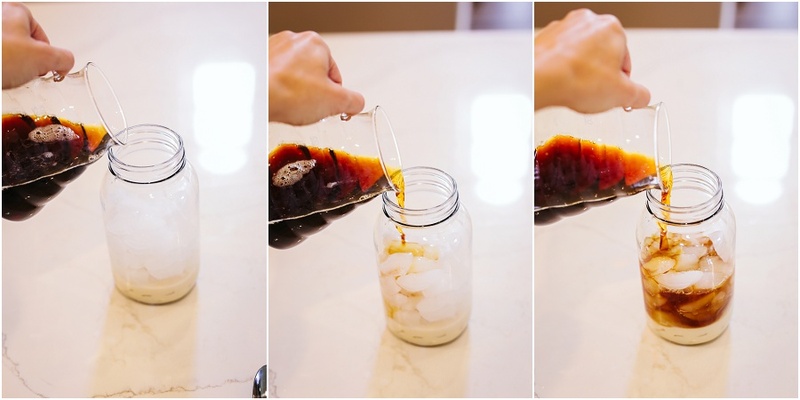 Needless to say my trips to coffee shops have been almost cut in half after starting to make this yummy iced coffee! 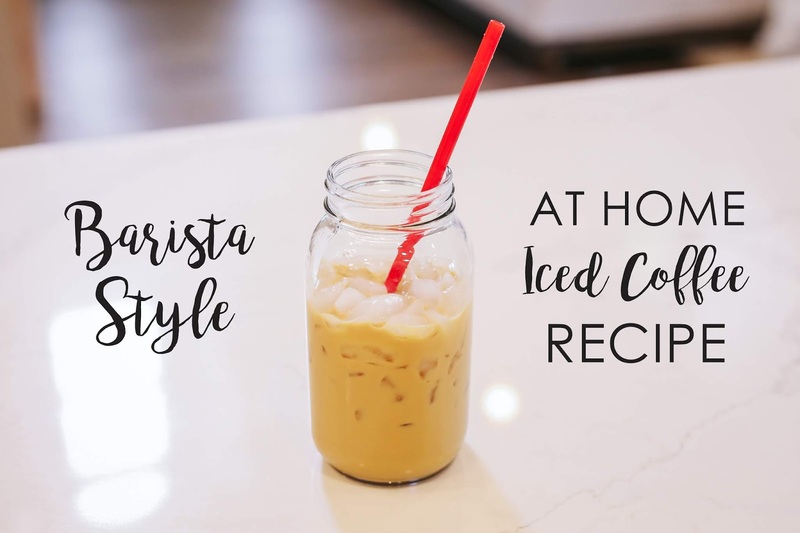 What I love so much about this recipe is that instead of pouring hot coffee over ice and making it watery... You use ice as part of the water ingredient in the coffee (half hot water, half ice) and it makes the most perfect medium roast room temperature coffee. Then you can turn around and pour it over a glass of ice and the ice stays perfectly cold and doesn't melt... Genius! 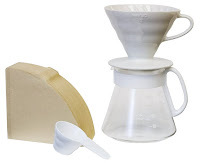 I found a set with a dripper, pitcher, and filters all in one! 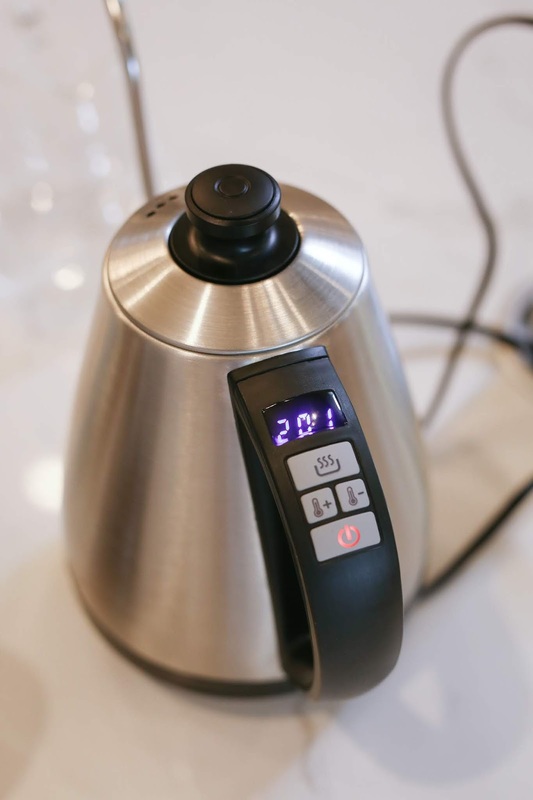 This kettle is amazing because you can choose the exact temperature. If you pour boiling water over coffee then it will scorch it. Around 200 degrees is the perfect (non boiling) temp for coffee. 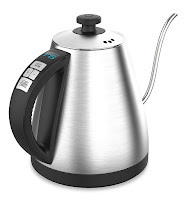 This kettle measures in odd numbers so I put mine on 201. Self explanatory... I use it to measure the coffee, ice, and hot water. I prefer Deeper Roots fresh ground coffee from Ecuador. I purchase mine from Joseph's Cup and have them grind it for me and ship it straight to my door. They sell coffee via their Facebook Page or Instagram Page. Send them a message to inquire. You can also buy any coffee beans that you like and grind them yourself. 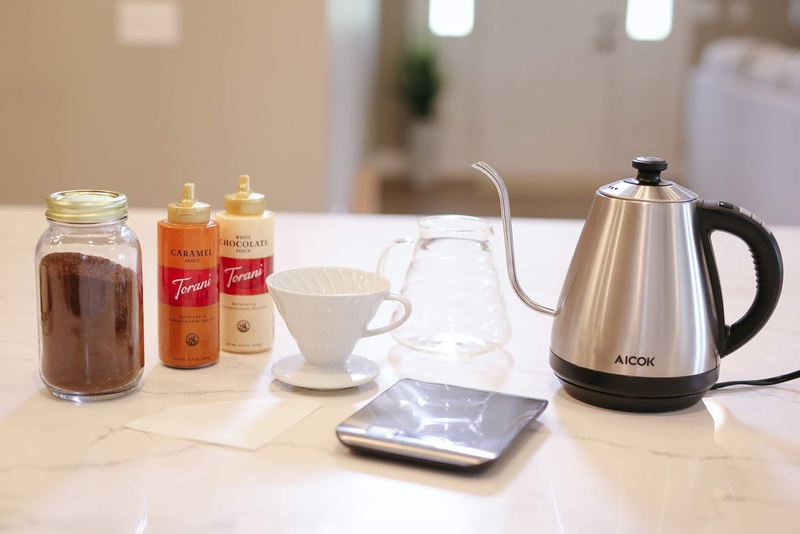 I have tried making this coffee with pre-ground coffee and the flavor wasn't nearly as good as using fresh ground beans. I store my fresh grounds in a mason jar, and it will stay fresh for about a month. I use water from my fridge and it works just fine! My go to is always caramel! 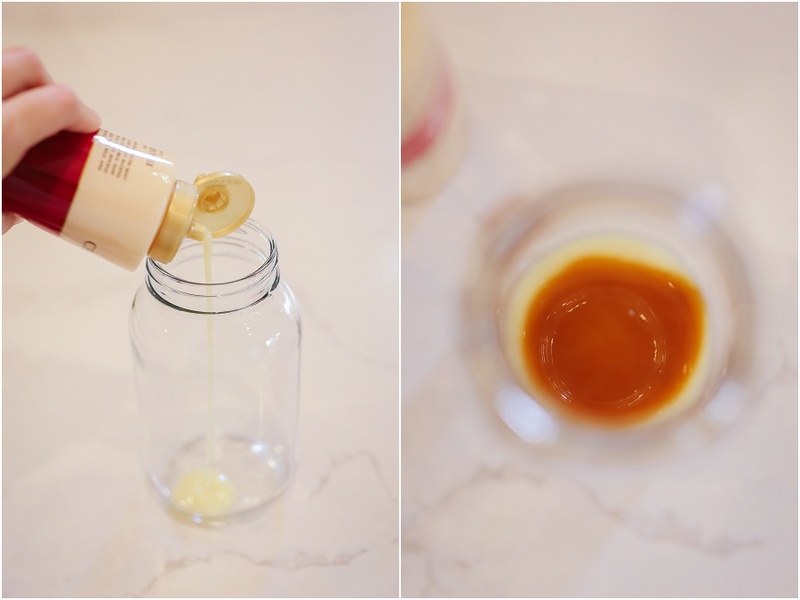 I just recently started doing half caramel and half white chocolate syrup, which is also delicious! You can purchase these at your local grocery store. This is the size I made in the photos, and the perfect size when making for just one person. Once you add your cream and syrup it probably makes around 16 oz. 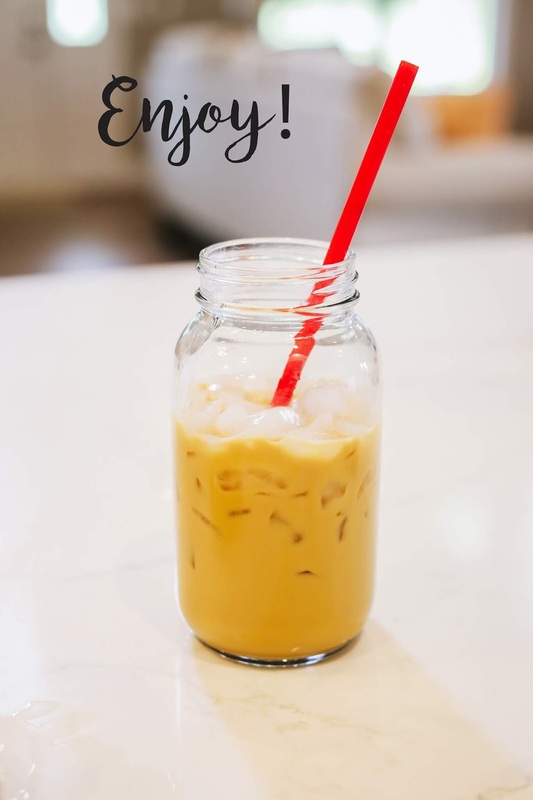 of iced coffee.You'll need about a 24 oz size cup so you have room for your ice. I usually have a tiny bit left over and can use it to top off my coffee later. 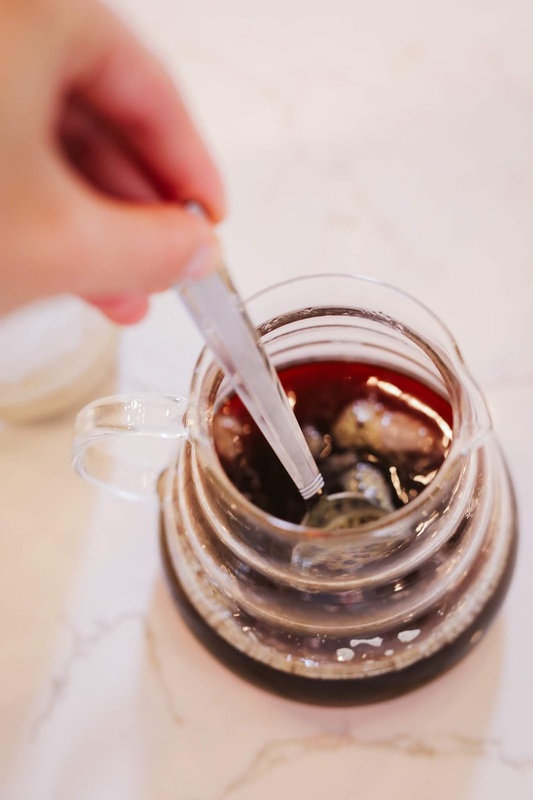 Start by filling your kettle about halfway full with filtered water from your fridge. Then turn it to 201 degrees. Make sure to push the "steaming" button which keeps the water at temperature once it reaches 201. 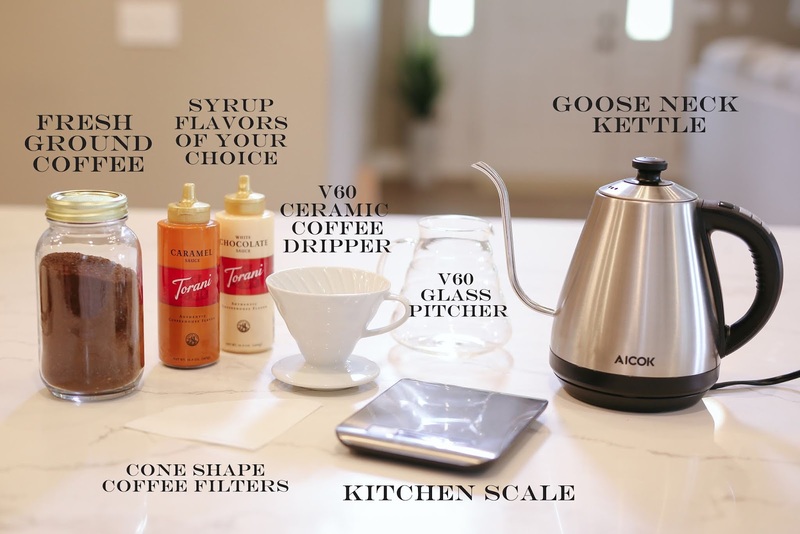 Next, place the V60 dripper with the filter in it onto the scale. Make sure to zero it out before adding any coffee to it. 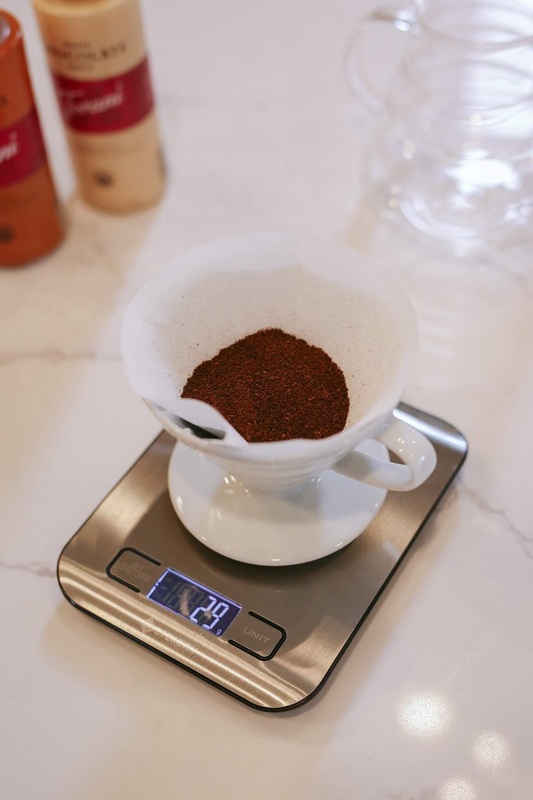 Then measure 29 grams of coffee grounds out. 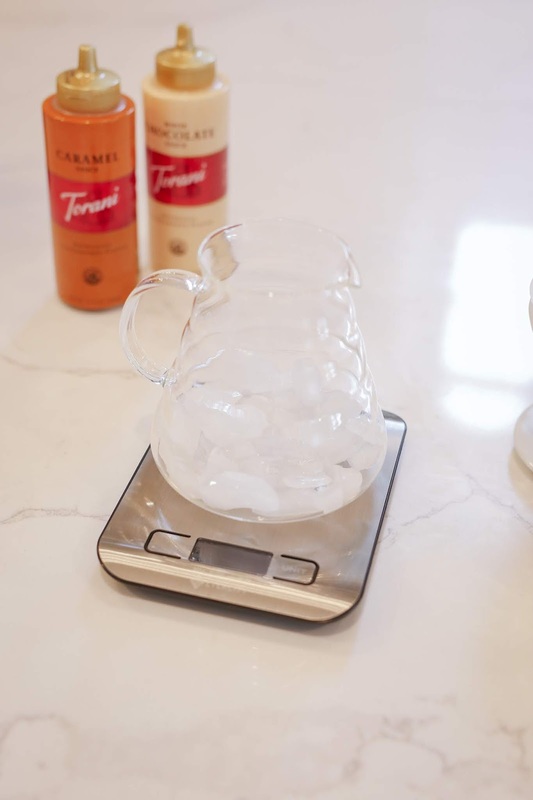 Next, measure out 133 grams of ice in your pitcher. While I'm waiting for the water to heat up, I usually add my syrup to my cup... For 12 oz of coffee I usually do 3 good size squeezes of syrup. For this tutorial I did 1.5 of white chocolate and 1.5 of caramel. 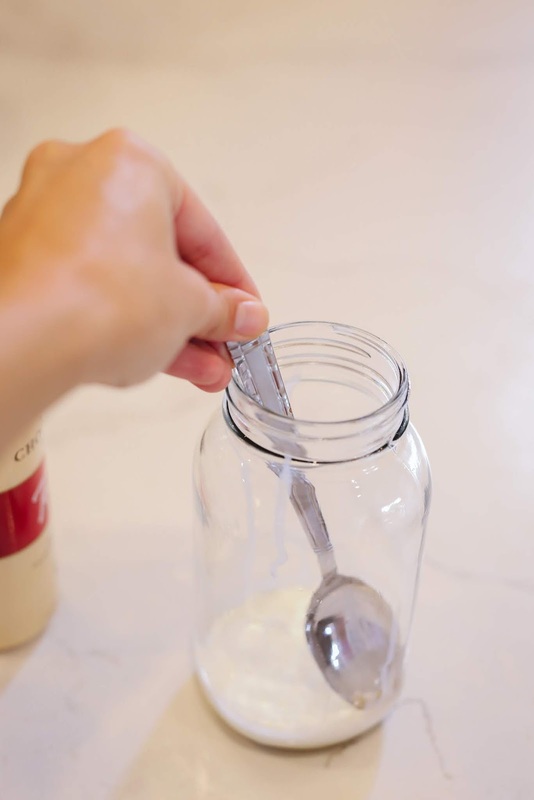 You obviously can go more or less to your taste, but the key is to pour it in the bottom of the cup with the cream and mix it up before adding ice or coffee. 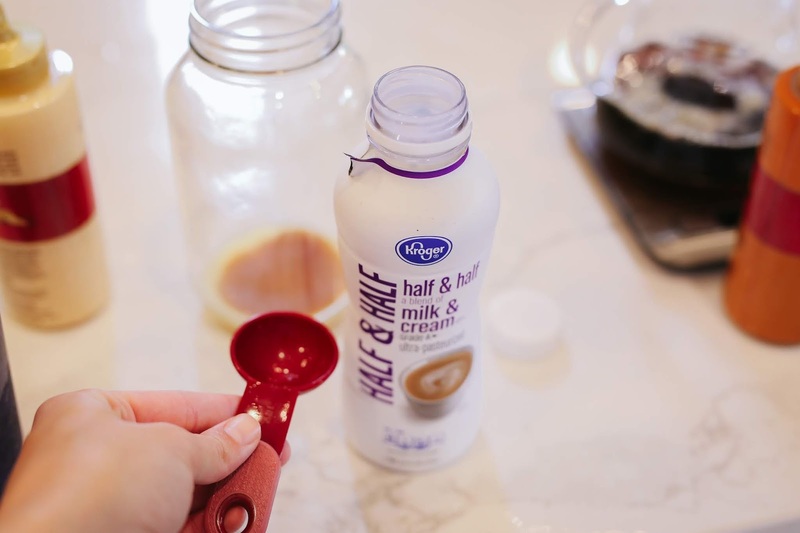 It blends much easier into the coffee if you combine it with the cream first. I then add about 2-3 tablespoons of half and half to the syrup. You can adjust this to your taste as well. Make sure to mix the syrup and half and half really well together. Your hot water should be ready at this point. 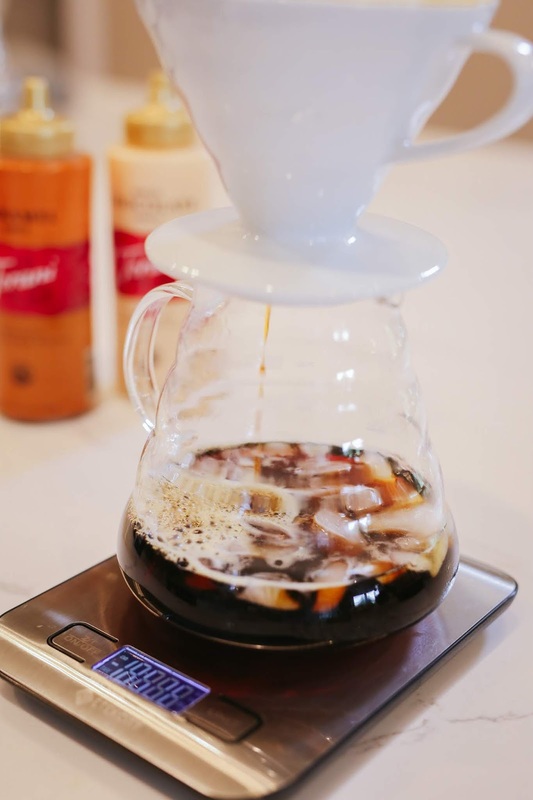 Now, stack your dripper with the coffee in it on top of your pitcher. 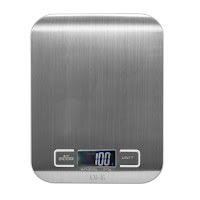 Place it on the scale and make sure to zero out the scale before adding your 266 grams of hot water. While you are pouring the hot water, make sure to take your time. The slower you pour, the richer the cup of coffee. I pour in a circular motion to make sure all the grounds are covered equally. Also, be careful your scale doesn't shut off if you take a break from pouring to let the water settle. Just give it a tap with your fingers to keep it from shutting off. Once you have poured all of the water... Just sit back and watch the magic work. 😍😍😍 The ice should be almost completely melted at this point. Next, you can add as much ice as you like to your cup. I like my cup about 1/2 - 3/4 full of ice. 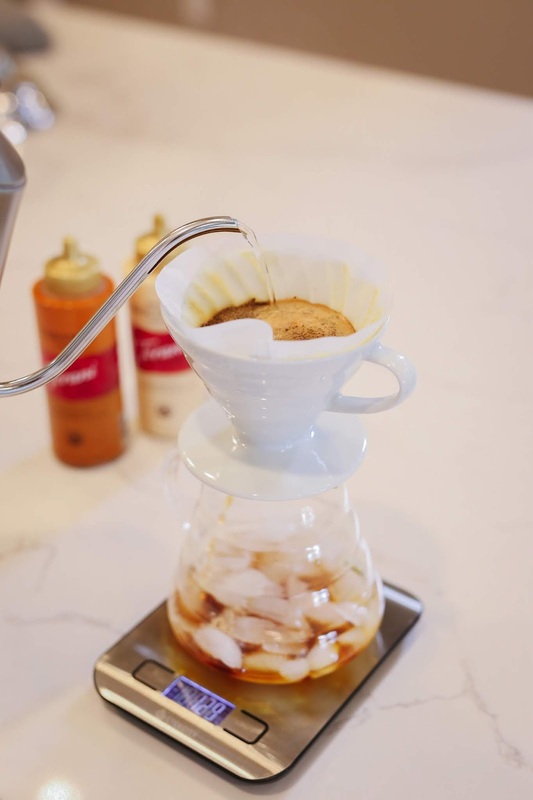 Once you're positive the coffee is finished dripping remove the pitcher and give it a good stir to make sure any small pieces of ice are completely dissolved. Almost two years ago I had a really bad cold, and coffee sounded terrible while I was sick so I didn't drink any. Even after I got better it just sounded kind of blah so I haven't had any since then. 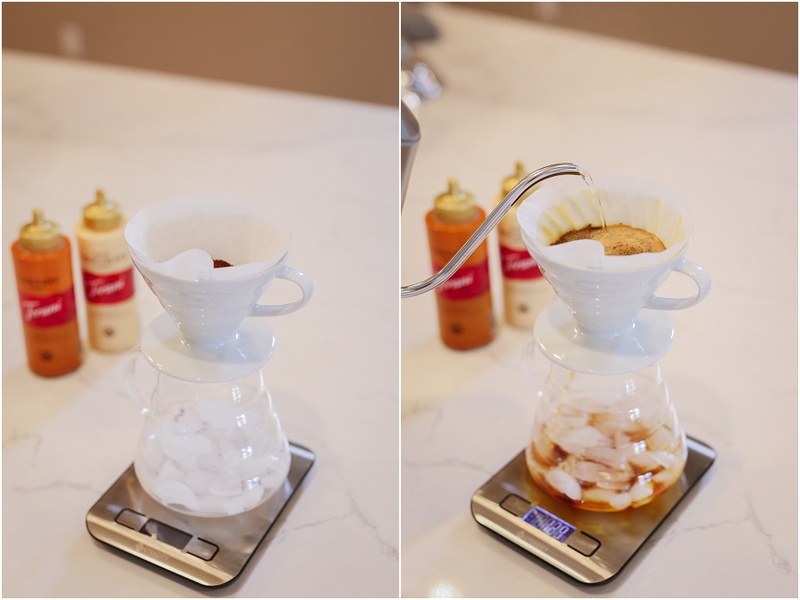 However, these pictures and recipe are making me seriously consider giving coffee another try! I bet the caramel + white chocolate is such a tasty combo. Thanks for sharing! Courtney, I left a comment on here long time ago but it never showed up. Maybe it was my phone. But I just want to say a big thankyou for your work on this coffee post!!! I can make some good iced coffee now. It’s the best as I can make it just how I like it. Thanks again for explaining how to do it! I'd love to hear from you! Leave some love! 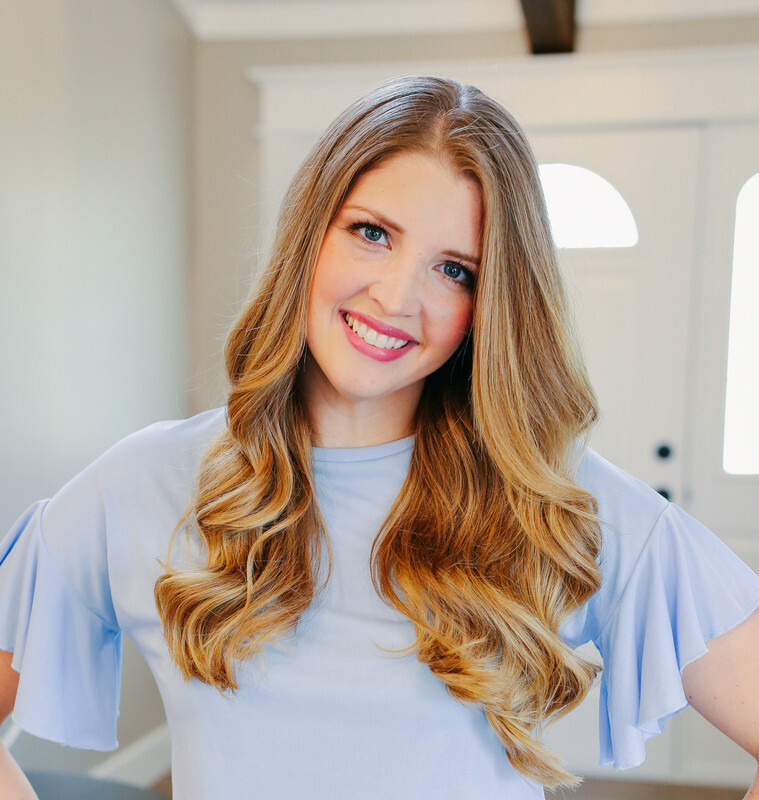 Classically Courtney is a source for home design, fashion, beauty, travel, and everyday life experiences. I hope to encourage ladies to dress with dignity (and flair), and create homes that are cozy, functional, and fabulous!